What a good looking dog! At A Stay in the Country we want your best friend to look terrific. 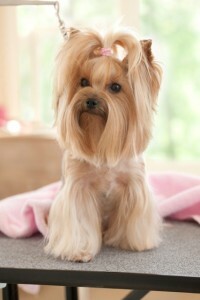 Grooming is an essential tool in promoting the overall health and well-being of your dog. Our talented and caring staff work to deliver the most comfortable grooming experience possible. Treat your dog to our exceptional bathing services that will leave your best friend feeling and looking great or customize your dog’s experience by adding additional grooming services. *Prices vary depending on dog’s weight and coat condition. Take advantage of our dog grooming services while your pet is here anyway! Most of our pet parents have us groom their dogs while they are boarding in our pet lodge or socializing in our doggie daycare.